Bhubaneswar: Indian Oil Corporation Limited (IOCL) of Paradeep, World Trade Center (WTC) Bhubaneswar and Kalinga Kusum Foundation (KKF) came together to celebrate Menstrual Hygiene Day here in the city. Menstrual Hygiene Day is observed on 28th May 2018 around the world. More than 100 participants including 70 women members of various Self Help Groups (SHG) of the city attended the event and got insights into the importance of menstrual hygiene. IOCL’s General Manager of Human Resources Shri Srinibas Patnaik in the inaugural address highlighted IOCL’s work in Corporate Social Responsibility (CSR) and how women and child development (WCD) occupy a central position in his organization’s social commitment. He spoke on why corporates need to complement the initiatives taken by the government and CSR is incomplete and ineffective without the large-scale participation of the stakeholders. He argued why women’s safety and security are central to any social development. He reiterated IOCL’s approach to engage with women for real empowerment and complimented his team and WTC for creating a platform for effective deliberation on an important subject like menstruation in order to have a decisive and impactful intervention. 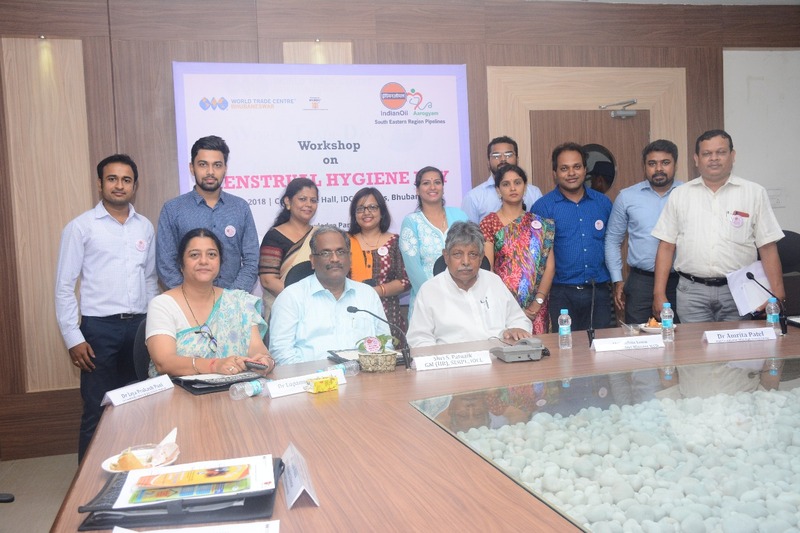 Dr Jaya Prakash Pani, a practising Obstetrician & Gynecologist at Apollo Hospital Bhubaneswar stressed on the need of awareness of the medical side of menstrual hygiene. He shared latest health science updates on menstruation including on how the monthly cycle of 28 days changes sometimes by coming a week early or a week late. He advised the attending women not to worry about the early or late arrival. 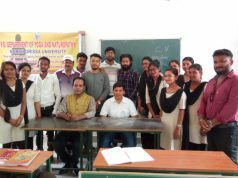 Renowned academic and activist Dr. Amrita Patel of Odisha State Resource Centre for Women (SRCW) highlighted the two sides of the menstrual hygiene. One is the biological or medical side and the other is the social side. She advocated the need to understand the biological process and be aware of the safety and at the same time, there is also an urgent need to question the social perceptions of menstruation. Swati Tanmaya Mishra, a nationally certified gender trainer from Kalinga Kusum Foundation made a passionate plea to shed shame and guilt related to menstruation. She through her personal experience of being a gender trainer made an energetic presentation and trained women to be responsible, self-reliant and resilient. She urged participants to treat menses as normal as going to the toilet and asked them to break the barrier in menstrual communication among parents, teachers and adolescent boys and girls. She advised starting a movement of ‘No Hiding of Pad Anymore’ in Bhubaneswar to get rid of the mindset of people who wrap sanitary napkins in a paper as they feel ashamed to carry it in open. Volunteers of Ashayen group that works for street children shared their difficult yet insightful experience of working with adolescent girls. They shared how beggar girls face difficulty when they attain puberty. With lack of awareness and lack of access to clean water for bathing and drinking, they are highly vulnerable to infections. The chance of getting pregnant also increases putting the life of the girl and the fetus in absolute danger. Hon’ble Minister of Women & Child Development (WCD) Shri Prafulla Samal was the Chief Guest and the Key Note Speaker. He argued that real empowerment of women lies in the menstrual hygiene. He shared the Odisha government’s initiatives in women empowerment with a focus on adolescent girls. Shri Samal congratulated his government for making menstrual hygiene an important social priority through the introduction of Khushi scheme through which free sanitary napkins would be provided to all 1.7 million girls in government and government-aided schools from class VI to XII. Ms. Lopamudra Tripathy of the UNICEF shared her experience as part of her organization’s work in creating menstrual hygiene awareness in Odisha for last 12 years. She shared how Unicef has collaborated with Odisha Police in launching a Paree Express to create a statewide awareness campaign on preventing child sexual abuse. She argued why menstrual hygiene is an entitlement of being a woman and highlighted the need to break this silence that surrounds menstruation in our families and communities. Ms. Chaitali Mishra, an entrepreneur, who has a sanitary napkin production unit named as Sathi, distributed free napkin samples to the attending women participants. She offered to the government of Odisha to produce affordable and quality napkins for the Khushi project. Ms. Nimeshika Natarajan, Assistant Director of WTC welcomed the guests, speakers, SHG members and the media. Mr SK Samal of IOCL offered the vote of thanks and thanked WTC, IOCL, KKF and UNICEF and SHG groups for coming together and adding value to IOCL’s commitment to sustained social impact.